When it comes to smartphones and Android in particular, one of the most common Google searches is the inevitable "How to improve battery life of X", with X being any widely-popular iPhone or a totally unknown Android handset. Yet... it's often tiring to always pamper to your device and try to protect its precious juice as close to 100% as possible, even at the expense of revoking core smartphone features. That's why some juggernauts just don't care. A brand new and rather fun $0.99 Android/iOS chat app aims to cater to all those who let their Android phones completely die on them due to depleted battery. Dubbed Die With Me, it allows users who have less than 5% of battery juice to enter a chat room and conversate while their phones are dying a slow and painful death. Oh, the exclusivity! In something quite similar to Titanic's orchestra that stayed behind to play one last song more than century ago, Die With Me users can chat and express their frustration with other similar-fated phone users. "very good. finally ran my battery down enough to enter the room, so now i can begin writing a revie, " - Lain Andry. "Finally a good messaging app for Galaxy S6 owners, " - guyver_dio. 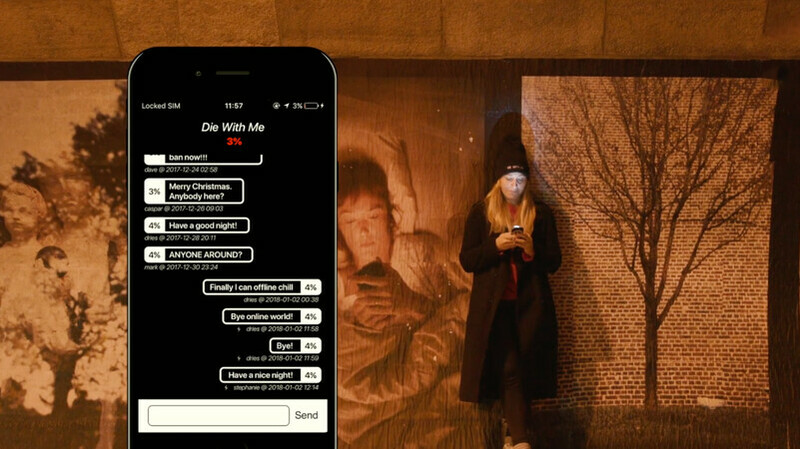 Die With Me has a neat concept but a few shortcomings, namely the rather morbid name and the price tag of $0.99, which is seen by many as unsubstantiated because you are essentially buying something you won't be able to use very often. It's pretty much similar in concept to that notorious I Am Rich app that cost $999 and essentially... did nothing. As we said, the app is available to both iOS and Android devices, so there's no discrimination here. Funny that the pics in this are of the iPhone. yeah, let's create a chat app that f**ks up the battery quicker by encouraging people to drain their batteries. Everyday I question if humanity was indeed... a mistake. To put it mildly, the answer to that inquiry is almost always "yes", with only exception being takeout night on Thursday. Neat concept. I wouldn't pay $1 for it though.